Having spent most of my time on NodeJs I recently attended a .NET course in Melbourne. I'm a fan of .NET and MVC 5 has come a long way. I doubt many will argue that the tooling in the MS land is by far the best there is. I really like Visual Studio ( as long as you have a decent machine to run it ), I really like nuGet ( MS .NET package manager ) I really started to feel like home. I also really like MVC5, it feels familiar. The base templates are great to get started and scaffold x% of the work for you. I think the biggest eye opener of the day was Azure. I quite enjoy the Azure model. .NET lends it self well to then and the integration between the tooling and the deployment platform is tight. I had next to no issues deploying simple apps and the 10 free websites is great for testing and getting side projects up and running. Like it or loath it I'll Microsoft have come a long way and I can see start ups looking to MS technology moving forward as they are really closing that gap enabling dev to get going for next to no cost ( or zero cost ) and provide a pathway to support your application as it grows. Setting up a new VPS for a small app I'm working on and was stumped by this problem. This didn't happen locally and after discovering the solution I knew why. The reason why is I did not have nodeJs install on the VPS. As I have been working on a nodeJs app in the past few months I already have node installed locally. This will install the current stable version of nodeJs. After that I was in business. Google apps sync for Office / Outlook 2013 was released. I've been on Office 2013 for around 6 months. We use Google Apps for mail and it's been frustrating having my mail and calenders not sync with Outlook properly. I know I can use IMAP ( infact thats what I was using ) and a few other bolts on ( which I purchased ) to restore functionality but it just wasn't 100%. In the mean time I had reverted to using the browser 99% of the time for email and calendar which I have grown fond of. Now that Google Apps sync works properly I'll give Outlook 2013 a good try. This error kept coming up trying to FTP files to one of my servers. I googled around a bit as nothing had changed in the environment that should have causes this issue. After finding nothing thats looked like the issue I decided to try the old reboot trick. Well it worked. No idea why this happened but after a reboot the problem went away. I actually came back to this issue and it was because the hard drive filled up completely. Well that was an easy fix. 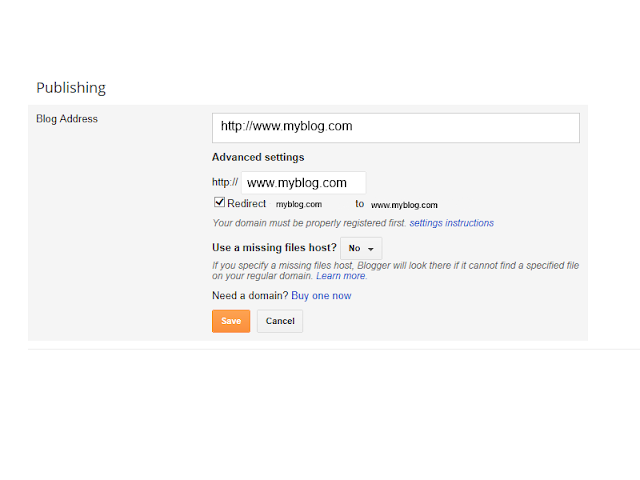 It can be a little confusing setting up a blogger blog with your own domain. The www is quite straight forward however a naked domain can also be re-directed to a blogger blog and there are a few extra steps. Now it’s time to make sure Blogger knows about your custom domain so that Google can direct readers to your blog. Just head back to Blogger and update the information on your Settings | Basic tab. Find the area for "Publishing," and click the link to add a custom domain. Then, click on "Switch to advanced settings." Enter in the URL for your custom domain in the text box provided, and click Save. That’s it! Your blogspot.com address will soon redirect to your new custom domain -- be patient, as it might take up to 24 hours for the redirect to start working. Congratulations, you’re all set!